On Wednesday, General Motors finally shared the first fuel economy figures for the 2019 Chevrolet Silverado and its new 2.7-liter L3B turbocharged four-cylinder engine. The results were both impressive and disappointing. The engine will return 21 mpg combined, 20 mpg city and 23 mpg highway. While it pushes the Silverado’s fuel economy into the 20-mpg mark, the fuel economy estimates fall short of competitors, especially in highway fuel economy. While the Ford F-150 and Ram 1500 return similar 22 mpg figures combined, both will save 2 mpg on the highway compared to the 2019 Silverado. Is the 2.7-liter turbo-four engine in the wrong truck? Automotive News (subscription required) pondered the idea and proclaimed GM will have a tough time convincing buyers to pay a premium for the turbocharged four-cylinder. Although the 2.7-liter engine becomes the truck’s new volume powertrain (replacing the 4.3-liter V6 engine) the V6 will still be available on Work Truck trims. And last year, it returned 18 city, 24 highway and 20 combined—with a six-speed automatic. Expect the figures to increase since the new truck is up to 450 pounds lighter. AN compared GM’s move to Ford when the latter introduced the Ecoboost V6 engine. Ford was able to move millions of truck buyers from big V8s to V6 engines with the promise of more power, torque and fuel economy combined (when driving rather gingerly, but we digress). 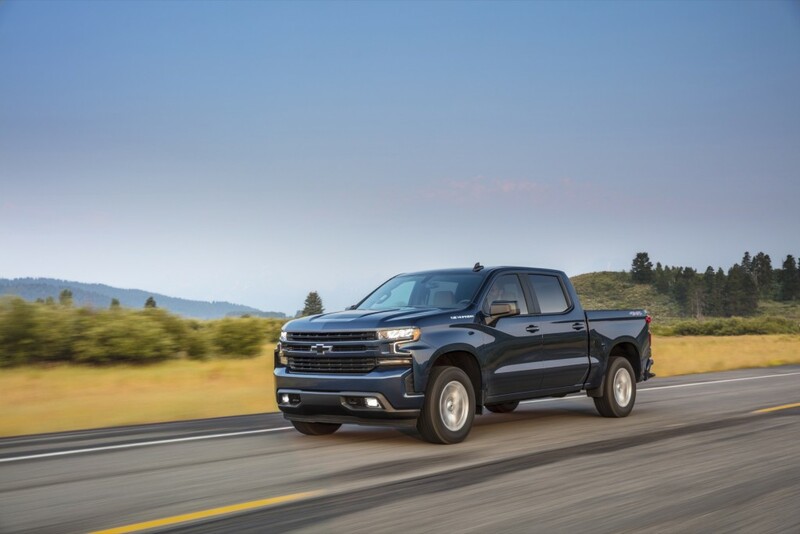 A small engine in a vehicle as large as the 2019 Silverado is proving a difficult pairing, and although the truck’s drag coefficient is 7 percent better, is drag coefficient of an area has increased. Translation: the front end is larger, and it requires more energy to punch a hole in the wind. We think a massaged 4.3-liter V6 would have been a wonderful addition to the Silverado lineup, which perhaps could have helped fuel economy figures even more than the new turbo-four engine. As for where the 2.7-liter engine will probably really shine, that would be in the Chevrolet Colorado. Yeah, I’d pick the 5.3 everyday of the week and twice on Sunday over the 2.7 in a full size truck. Perhaps I would change my mind if real world MPG figures show a meaningful gain between the 2. One would think this engine would be perfect for the midsize twins and wonder what kind of MPG gain there would be over the 3.6. I agree! The 2.7T would’ve made an excellent ZR2 debut engine. This engine in general makes sense for a smaller truck! The 3.6L should be reserved for car/crossover duty only. Isn’t the 5.3 V-8 the volume engine in the big trucks? Almost everybody I know that buys them, has the 5.3. The only people that settle for the 4.3 V-6 are cheapies who don’t really care about life. No idea why it has a turbo-four period, or why it was even developed. Or why the 4.3, no matter how “new” it is claimed to be, exists. Just use the car 3.6 like everyone else, the only ones who would buy it are cheapies who don’t care about life. Not an EcoBoost fan either, full-size pickup trucks to me will always require a V-8 engine. 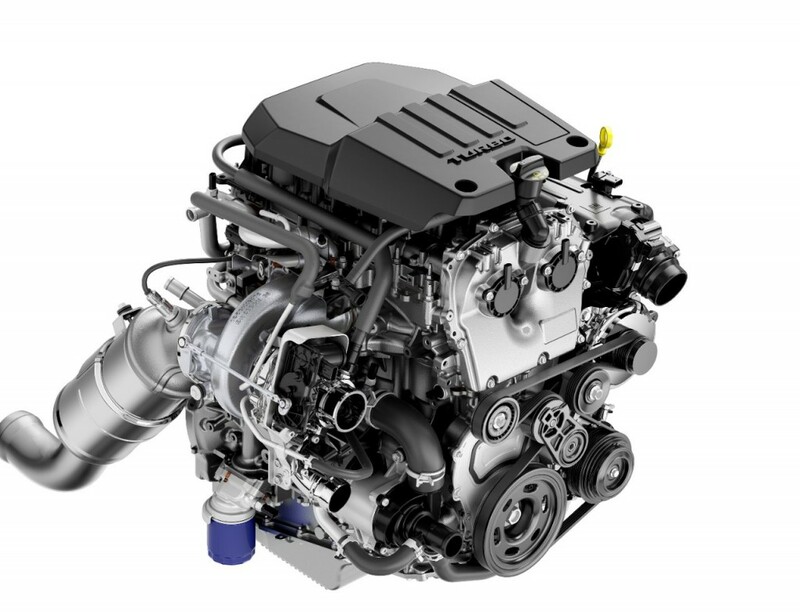 I think GM’s idea of integrating a turbo charged Engine into the Silverado/Sierra line up is a great idea if they would closely take a look at what Ford has done with their Ecoboost engines. Their 3.5 liter twin turbo V-6 and their 2.7 liter turbo V-6 both outperform GM’S 5.3 liter V-8, 4.3 liter V-6, and the 6.2 liter V-8 overall in terms of fuel economy, towing, and payload. Ford also has mated a majority of their engines to the 10 speed transmission. GM is still playing catch up. Correct, GM pushrod mills are downright sluggish when compared to Ford’s Ecoboost, especially at altitude. The 6.2 is the obvious exception, but good luck finding one. They don’t come in regular trim levels while Ecoboost isn’t uncommon even in base models. GM’s decision about the application of this engine is questionable and works against efficieny in production and money management. Not only does this engine seem to be the best fit for the Canyon/Colorado, but also for all the GM crossovers and remaining cars. If the engine specs are accurate, those vehicles’ performance would be world class. There wouldn’t be a need for the 3.6 and but keep 1 base 4cyl around…no need for many 4cyl variations unless they’re planning for a hybrid of some sort. Turbo V6 sounds more reasonable on a full size truck than a turbo 4. The 2.7 is expected and will replace the V6 at some point. This is a base engine and will be low volume in the full size truck. It will be mostly fleet use etc. we all know most people are buying the V8. They may use it with a hybrid system but the only other real home is the mid size truck where it will offer more power more torque and better mpg over the present V6. I expect it in the next gen mid size where the truck will be engineered for it. The lack of mpg expected is not a real surprise. The 4.3 is on the way out due to emissions. The two valve V8 at some point will meet the same fate as the 4 valves are just more able to deal with the emissions. Also NHV and drivability can be addressed too. GM redid the 3.6 for better emissions, to fix cam chain issues and even cast in the block a oil catch system to stop carbon issues in the intake that had been an issue and had some installing catch cans. Much of this engine is in mostly what we do not know yet. Why would they even consider getting rid of the V6 on the Colorado trims (aside from WT) most people who are buying a Colorado are getting LTs and higher so it only makes sense for them to have a 6 instead of a 4 turbo so them getting rid of it like that makes no sense it’s one of the major redeeming factors on the truck. Monday morning quarter backing is the norm when any automaufacture makes a shift. My thoughts on GM engines for the truck should have been an all new v6 turbo and drop the 5.3L. It’s what Ford did but again, GM wouldn’t want to hear from Ford buyers that “I told you so”. It seems the aluminum bed campaign didn’t pay off for GM since Ford F-150 still outsells everyone. The 2.7TT is a no brainer for the ZR2 and Denali versions of the mid-size pickup. Personally I would welcome the 2.7t in the Colorado. I’d also welcome a 4.3 over the 3.6 also.